Once in a while I come across a blog that hasn't had a new post in a long time and think "geez, those guys are lazy!". Well, now I think I understand. You miss a month, then the next post has to be a really good one, then it just becomes too stressful and you forget about it altogether. Well, that happened to us, but we are back! Hopefully we will keep it a little more consistent in the future. 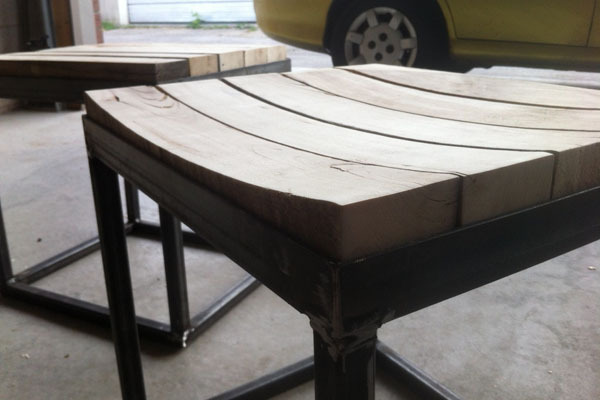 So, lately we have been working on some patio furniture for a cafe in Toronto. The furniture is designed to match their interior space and counter. There will be seats, tables, and some other more permanent furniture. 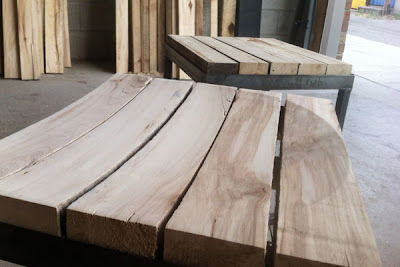 For the seat and table tops we found some very nice poplar 3X4s at Danforth Lumber that were on special. 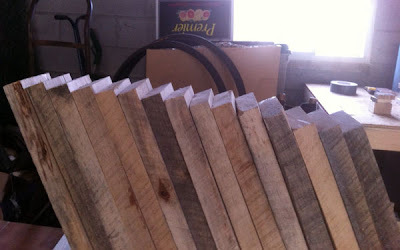 It is a very nice light coloured hardwood that has some interesting contrasting streaks. 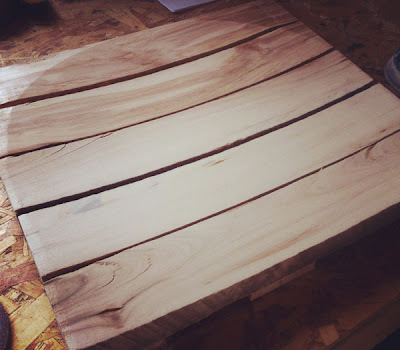 The wood is spaced out and then hand milled to get a scalloped seating surface. This was originally intended to act as a visual seating feature, but it actually makes the seat much more comfortable than the original flat surface. Bonus! 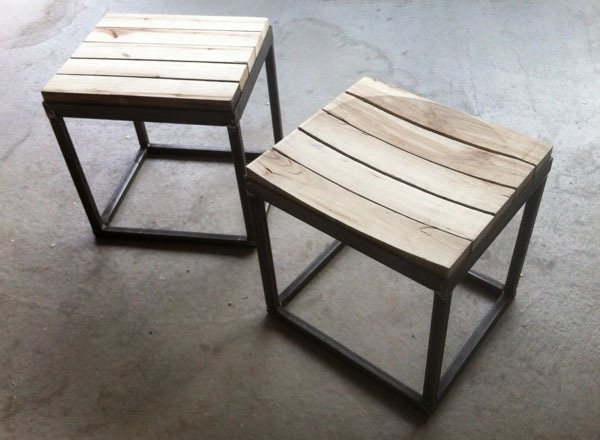 The wood sits in a very simple welded steel frame. The frames are raw steel and will be clear coated. The open frame makes it easier for the cafe to move, stack and lock the seats and tables at night. Heather is also working on a larger bench for the front of the cafe that can be installed before their patio application gets approved (the city is so slow!). 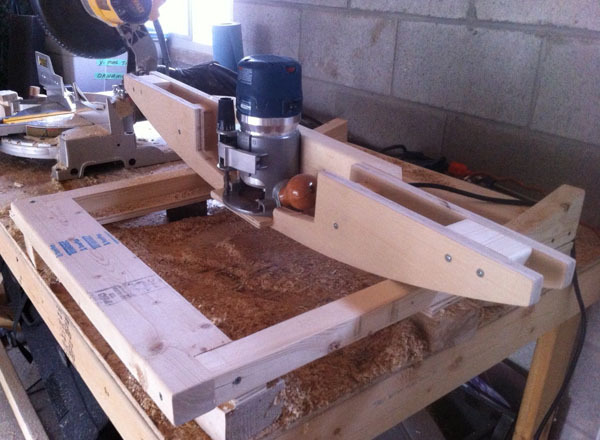 This will also be poplar, and will use the same seating features. We will have more updates soon!